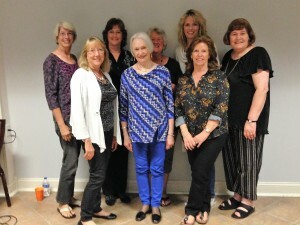 Ann was the guest performer at the annual “Girlfriends” Women’s Retreat in Cullman, AL. It was Ann’s 13th year to be invited to be part of this event. 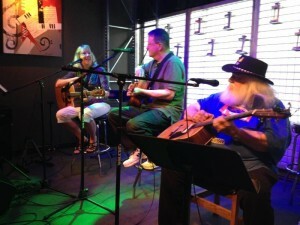 Ann played the USAGEM sponsored writer’s night at Nashville Coffees in Nashville, TN. Special thanks to Terri Lynn (host) and Mike Dunbar (sound) for making it a wonderful evening (pictured). 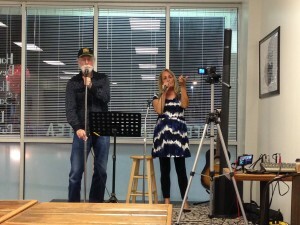 Ann was invited to sing a song at the writer’s night at Millennium Maxwell House Hotel in Nashville, TN. 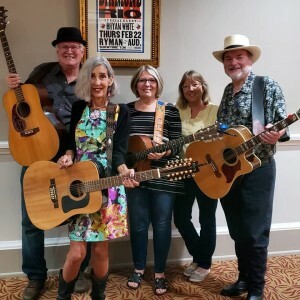 Other writers (pictured left to right) were Everette Brown, Donna Frost, Tammy Vice and Les Kerr. 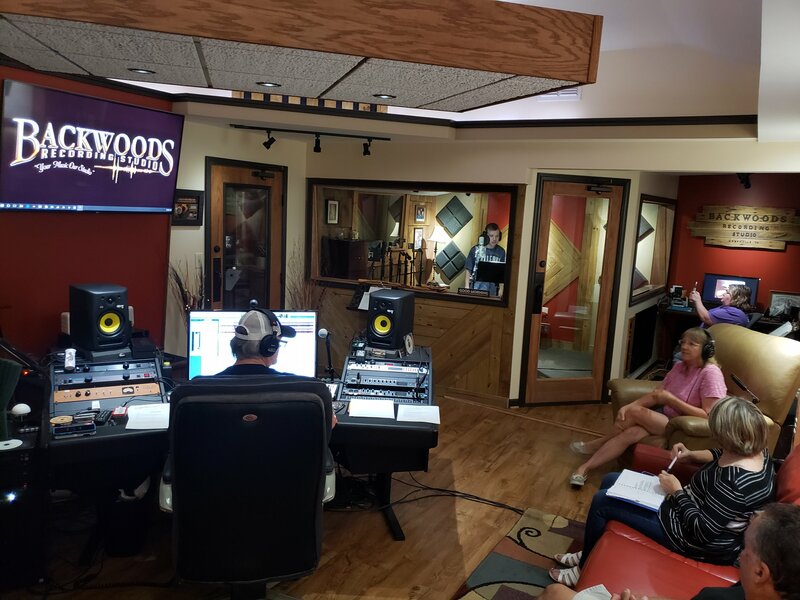 Logan Blade, an amazingly gifted singer – who also happens to be on the Autism spectrum, recorded Ann’s song, “God’s Got The Box” for his new project. His family invited Ann to be in the studio during the taping. 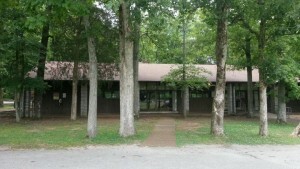 It was recorded at Backwoods Recording Studio in Goodlettsville, TN. Owner, Tony Ray Jones, engineered the project. Ann is thrilled to have a new cut that will minister to a whole new audience. Logan did a great job! 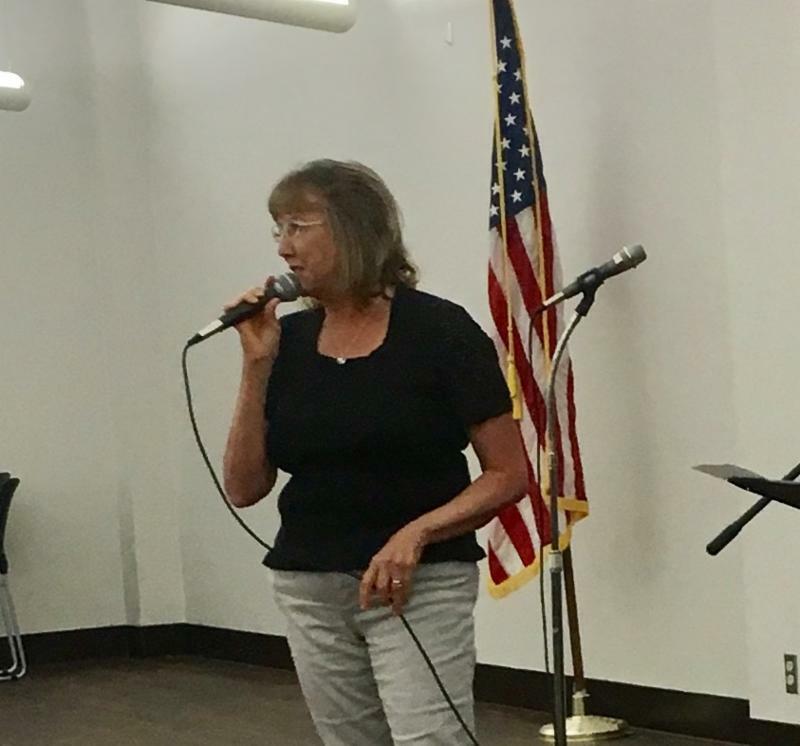 Ann sang at the God and Country Jubilee held at Fifty Forward Madison Station, in Madison, TN. 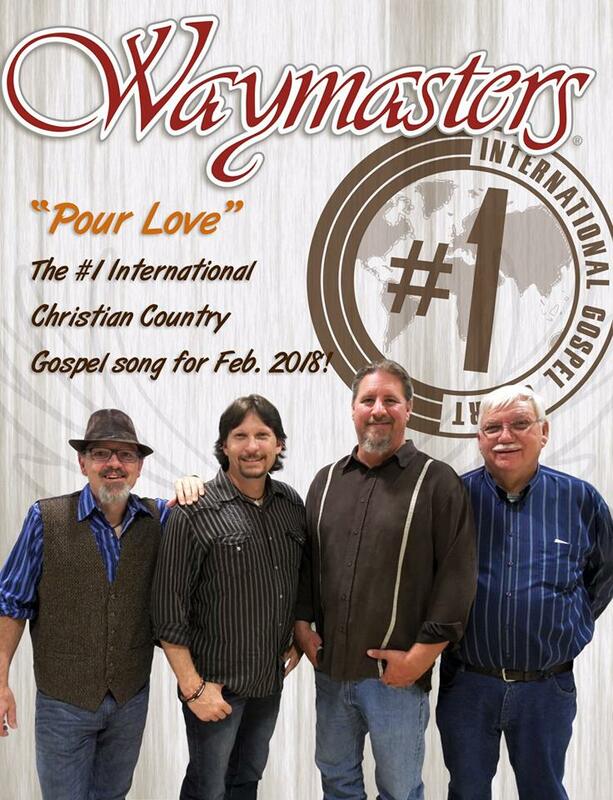 The Waymasters, a Bluegrass Group that recorded Ann’s song “Pour Love” on their last project, took the song to #1 on the International Christian Country Chart in February. Way to go guys!!! Great job!!! 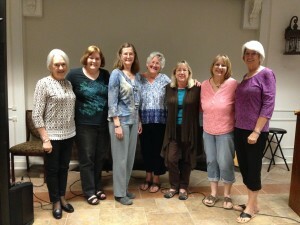 Ann sang and spoke at the Cullman Women’s Retreat in Cullman, AL. This was Ann’s 12th year to be involved in this event! 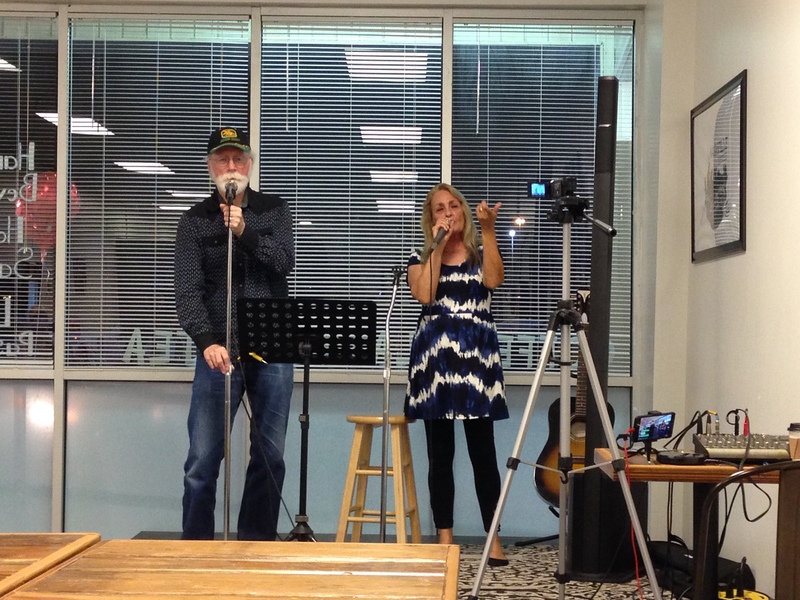 Ann was one of the songwriters invited to be part of the USAGEM “Writers of the Light” TV show. It will be edited and aired at a future date. 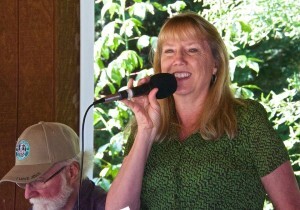 Lynn Fox of The Fox Brothers is the host of the show. 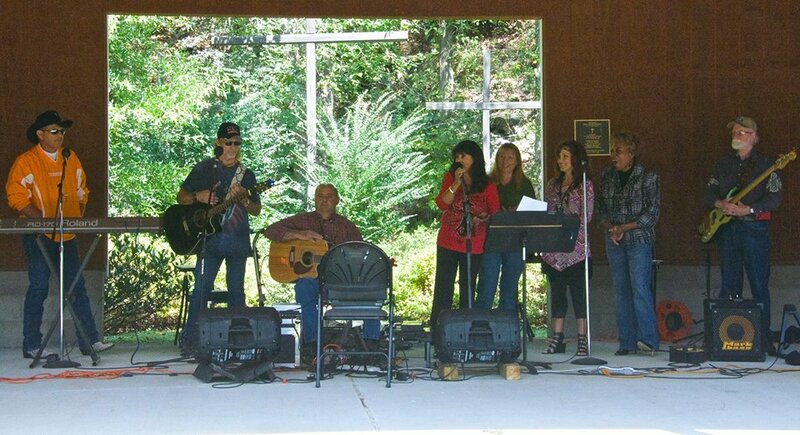 Ann attended and sang at the USAGEM Birthday Bash at Cedars of Lebanon State Park in Lebanon, TN. 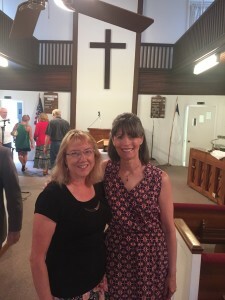 Ann sang at Belfast Baptist Church in Belfast, TN. Special thanks to pastor Daniel Johnson for the invitation. Picture: Ann’s friend Barbara Dwyer came just to see Ann. What a nice surprise! Ann was invited to minister in song to the seniors at Saint Mark UMC in Birmingham, AL on their Seniors’ Saturday. Great food and fellowship! 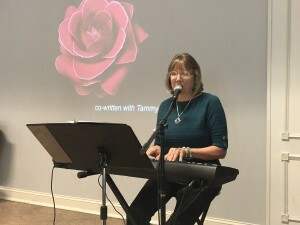 Ann was able to minister in song at Grace Covenant Fellowship Church in Hoover, AL. 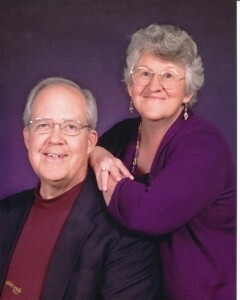 Thanks to Bob and Ruth Miller for the invitation! 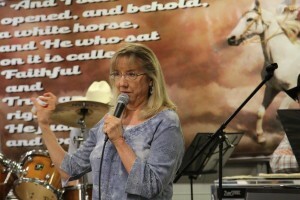 Ann was guest singer/speaker at Mending Fences Cowboy Church in Lebanon, TN. Special thanks to music ministers Rene’ and Edie Jones for the invitation! 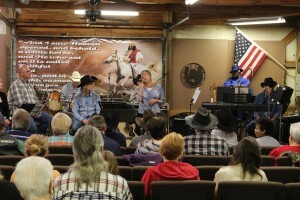 Ann always enjoys cowboy churches! Ann was able to minister at Piedmont Cumberland Presbyterian Church and at a women’s night held the next night in Piedmont, AL. 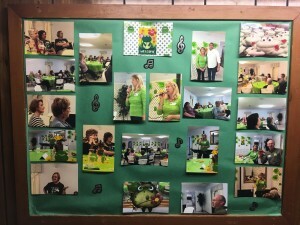 The Women’s event was themed “Fully Rely On God” (frog). Special thanks to pastor Ken Byford for the invitation! The church was warm and loving. 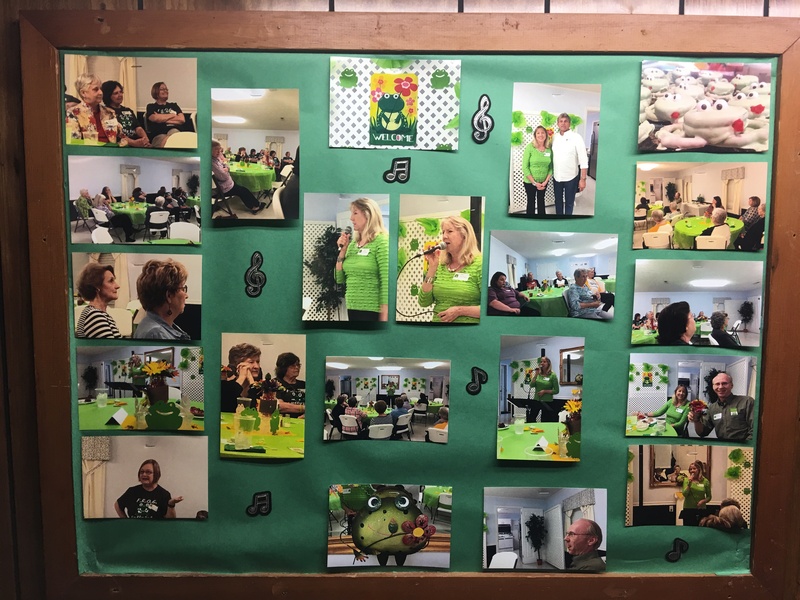 Photo is their bulletin board after Ann’s visit. 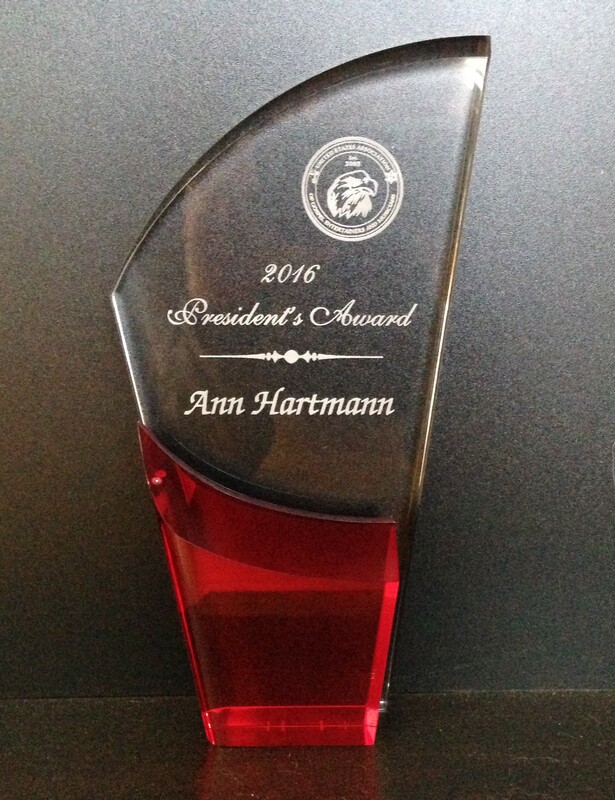 During the USAGEM convention banquet, Ann was honored with the President’s Award for her years of service to the organization. Ann performed at the Cullman Women’s Retreat in Cullman, AL. This was Ann’s 11th year to be involved in this event! Ann performed at Mending Fences Cowboy Church in Lebanon, TN. 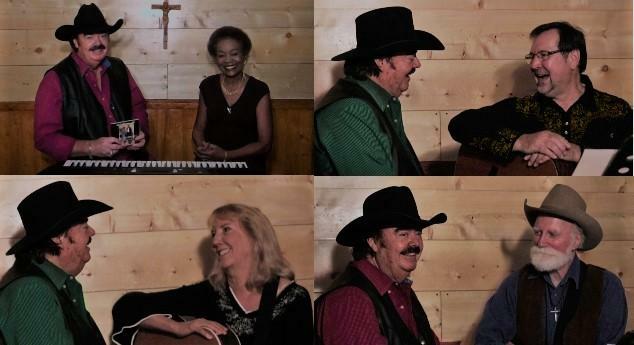 To watch the performance, click here and scroll down to “August 7th at 8:41pm” post on Mending Fences Cowboy Church facebook page. 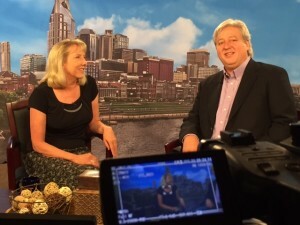 On July 14th, Ann was invited to be a guest on TCT’s newest television show, Nashville Alive. She was asked to share her testimony about the tragic death of her 24 year old son. Jeremy died while driving under the influence of alcohol. Another guest on the show (before Ann) was Edie Jones. 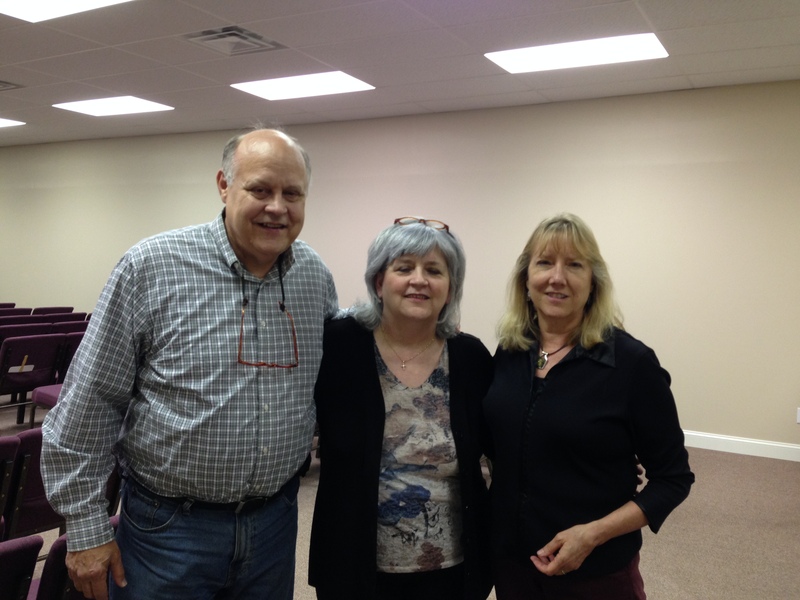 Edie talked about her past experience with domestic violence and how God carried her through. Edie is currently blessed with a good marriage. The show was hosted by Peter Rosenberger and was aired on August 3rd. It can be watched again by going to http://www.tct.tv/watch-tct/on-demand. In the “Choose A Program” box, choose Nashville Alive and click on the August 3rd show. 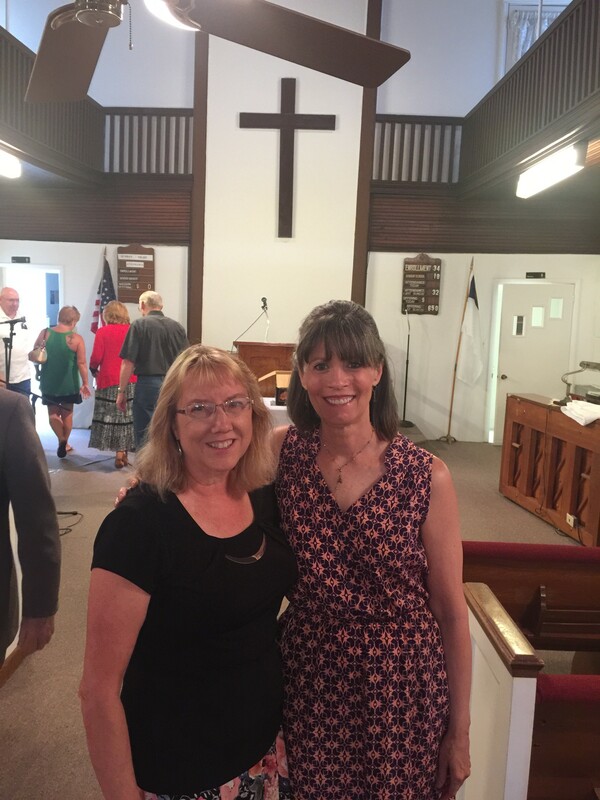 Ann wants to thank everyone at TCT and especially Melanie Walker for believing that God can use Ann’s story to help someone else. Ann prays that something she said will make a positive difference. 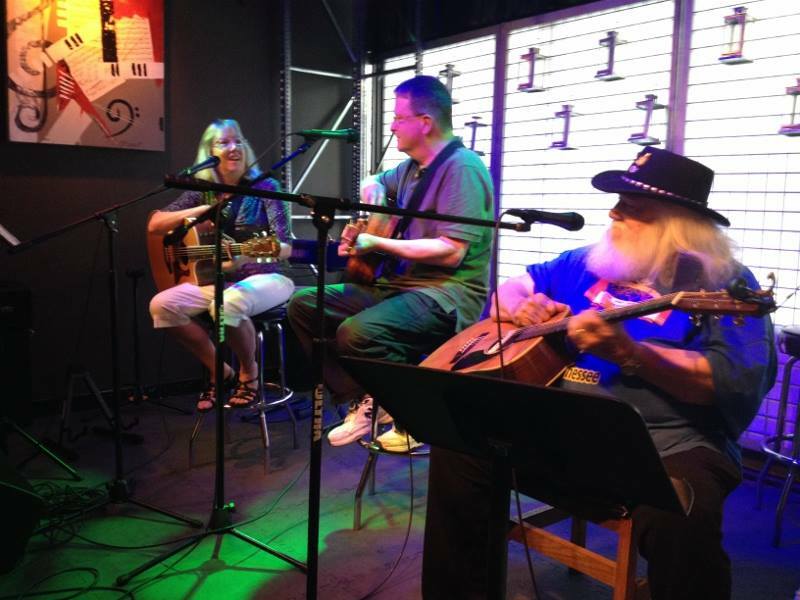 Ann hosted the songwriter night for USAGEM Songwriters in the Round @ Pavillion Coffee House in Madison, TN close to Rivergate Mall. 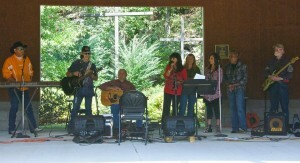 Her guest songwriters were Glenn Tubb and Russ Murphy. Go to Ann’s music page to order your copy. 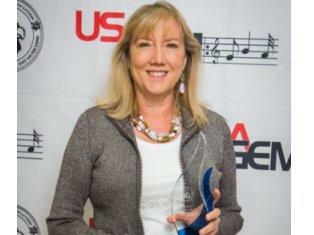 November 21, 2015 Ann was very honored to receive the USAGEM Singer/Songwriter of the Year award at the USAGEM convention this year. Click here to learn more about USAGEM. October 20, 2015 Ann was the guest singer for The Gathering @ Impact Fellowship Church in Gallatin, TN. October 10-11, 2015 Ann sang at the Cullman Women’s Retreat in Cullman, AL. This was Ann’s 10th year to be part of this event. October 3, 2015 Special thanks to TLC Radio and New Zealand Country Music Network for sharing Ann’s music with their audiences. 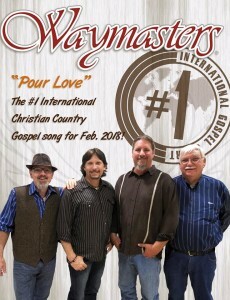 For more information, please visit their website @ www.countrymusic.net.nz. 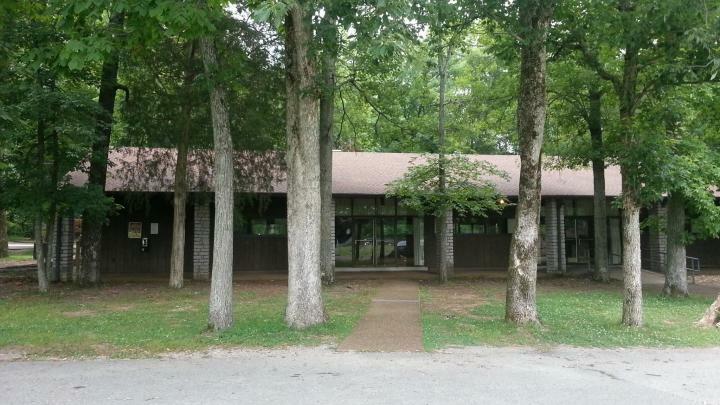 September 12, 2015 Ann sang at the Gospel Song Fest @ Denton Chapel in Whites Creek, TN. 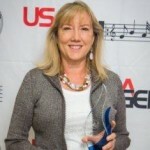 August 26, 2015 USAGEM recently announced their top nominations for 2015. 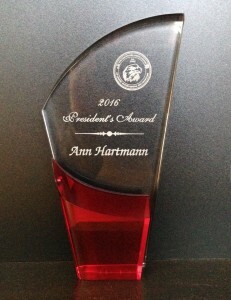 President, Lynn Fox, notified Ann that she is nominated this year for Singer/Songwriter, and Christian Country Crown Jewel. The 12th Annual USAGEM Awards Show will be held at the Texas Troubadour Theatre in Nashville, TN on November 21, 2015. 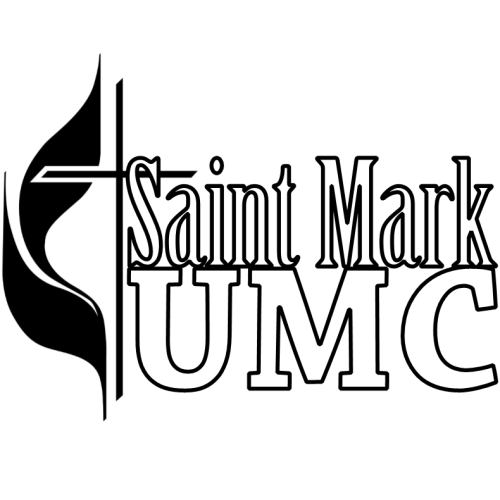 For more information, please visit their website. 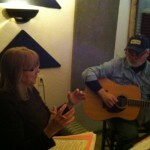 Ann with producer & studio owner Tony Ray Jones – coming up with a plan! 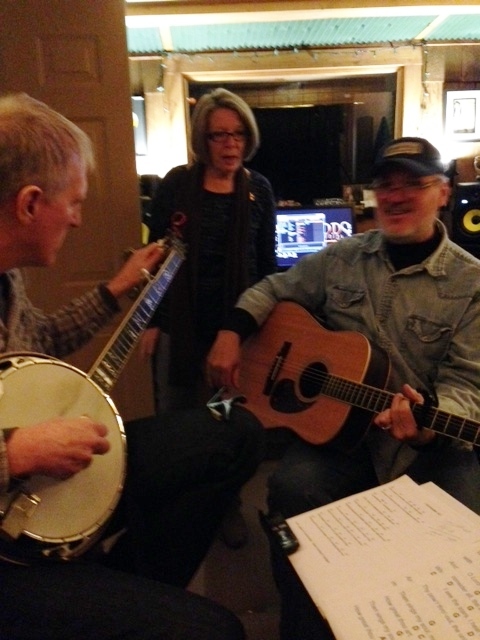 January 28, 2015 Ann is currently working on a new CD project at Backwoods Recording Studio. 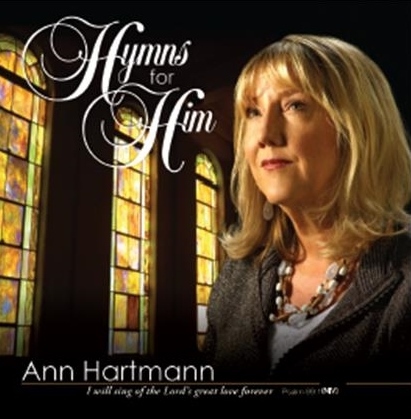 Instead of recording her original songs, as she has done in the past, this new CD project will be a collection of Ann’s favorite old hymns. 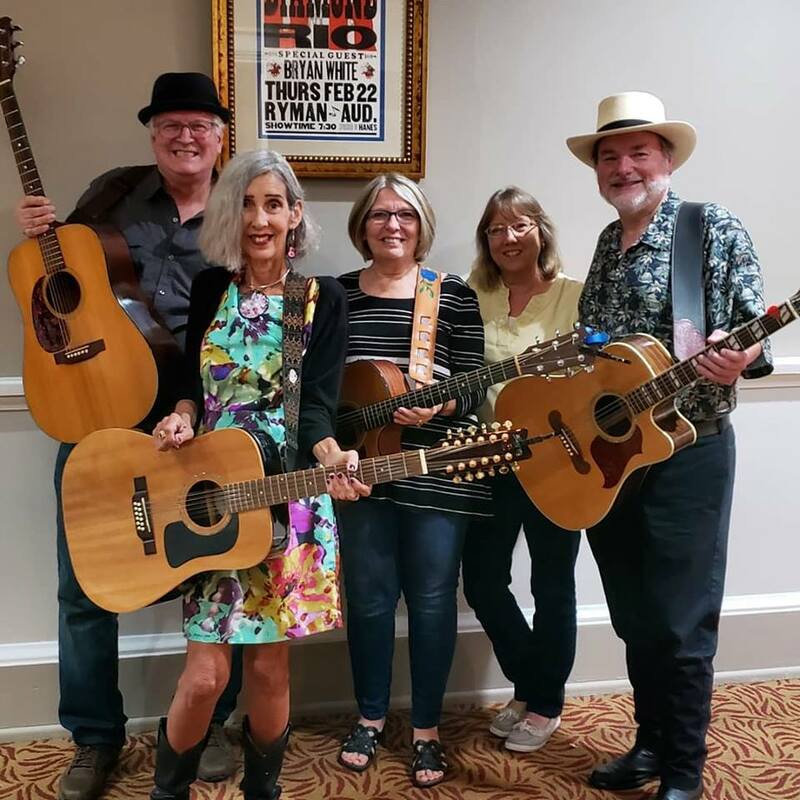 The musical “flavor” will be a cross between Country and Bluegrass – lots of guitar, fiddle, mandolin, dobro, and even some banjo. 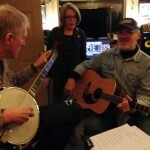 Ann’s friends John Swaim, Tammy Vice, and Tony Ray Jones add their special touches to the project! 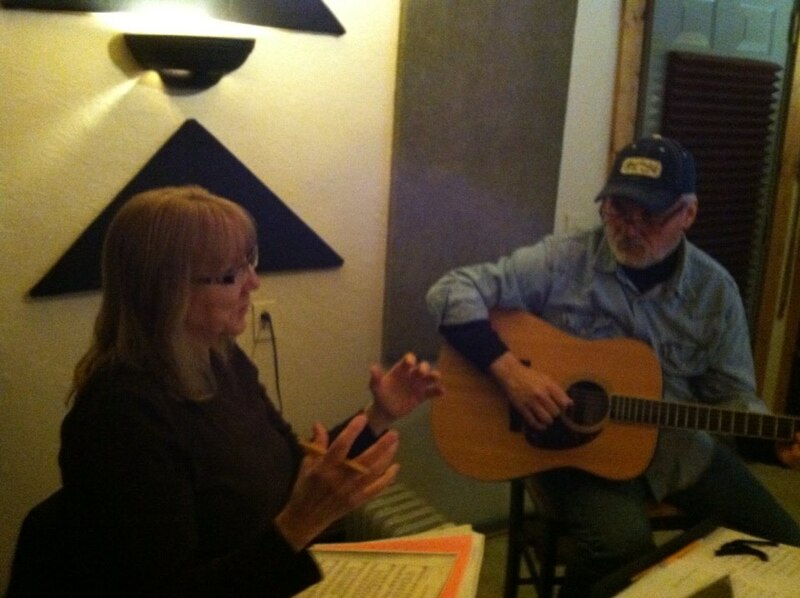 Ann is very excited about this new adventure, as it is the first time she has recorded songs she hasn’t written. It is allowing her to focus more on her “artist” side. She is enjoying the process of working with old friends, and meeting new ones. Plans are to complete the project by Christmas 2015.